PS Dental Clinic In Chennai: Why Dental Care Should be Your Priority ? Why Dental Care Should be Your Priority ? Healthy Mouth=Healthy Body: As we all know that the mouth is the gateway to our body, maintaining a Healthy mouth is good for our entire body. Dental Hygiene and care is linked to a lot of health conditions. 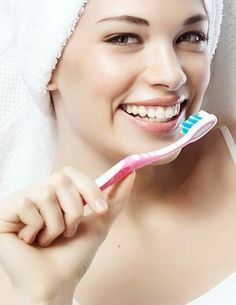 Poor Dental Hygiene and care can prove fatal to the functioning of many essential organs in the body such as Heart, Kidney, Pancreas, Ear, etc., So it is essential to maintain Good Dental Health. Improves Self-confidence: Good dental hygiene and care boost your self-confidence and Happiness. Responsible Adult: When it comes to dental care, it is of great concern especially if you are a parent. Children are more susceptible to dental problems as they consume a lot of junk foods and chocolates. As a parent, it’s your responsibility to inculcate Good Dental Hygiene Habits and Proper Dental care regimen in your lifestyle, your children will follow suit. 3. Visit your Dentist every Six Months. Dental decay – Leave a decay untreated for long enough and it will destroy the tooth. What problems can result from tooth loss, the main being the Appearance and your Confidence ? Why should you get any gaps ‘filled’? · Difficulty in chewing:The jaws may not come in contact(“bite” together properly), thus affecting the function of chewing. This might lead to Pain in the facial muscles/jaws due to an improper bite which can also lead to headaches. Supra-eruption(ie a top tooth drifts down as there is no support below to stop it)which leads to eventual loss of that particular tooth. It is often compared to the brickwall , where if one tooth is removed, it will eventually end up losing all the adjacent teeth. Food getting lodged and plaque accumulation in the gaps leading to more decay and gum disease. As a result of this,“your confidence and appearance might take a backseat”. There are various Replacement/Treatment options available. We at PS Dental Centre give a comprehensive and ethical treatment plan which is the main reason why people choose us and keep referring patients. PS Dental Centre is Frequently considered to be The Best Dental Centre in Chennai, because of the State of Art Technology with Quality Dental Treatments rendered by our Experienced Specialist Team at Affordable charges. Labels: best cosmetic dentistry in chennai., Best Dental Care In Chennai, best dental clinic in kk nagar, Best Dental Hospital In Chennai. Thanks for sharing your knowledge about dental problems. It’s really wonderful, you have done a great job and continue again.